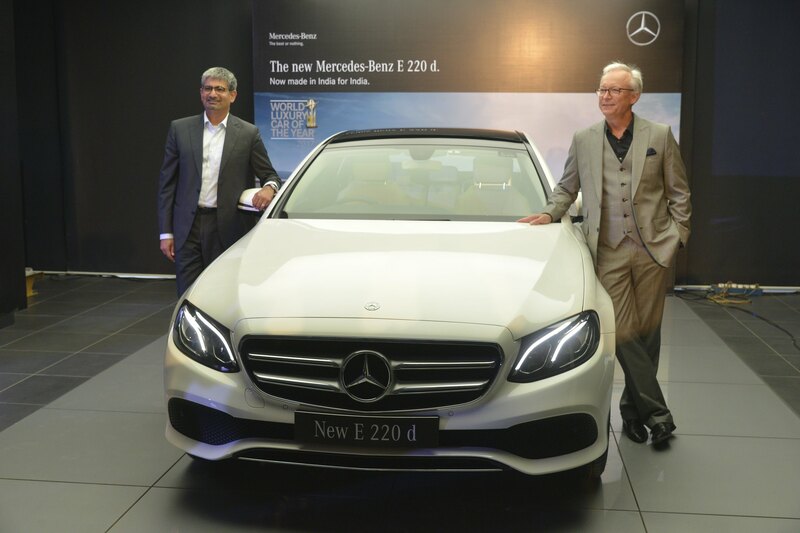 Pune: Subsequent to the success of the new long wheelbase E-Class in India, one of the only two markets in which the car was launched; the country’s largest luxury car manufacturer Mercedes-Benz, today launched the all new E-Class 220 d in India. The launch of the all new E 220 d variant of the ‘World Luxury Car of the Year’ also marks the introduction of Mercedes-Benz’s revolutionary OM 654 diesel engine in the Indian market. The new four-cylinder diesel engine (OM 654) underlines the debut of a ground-breaking family of engines from Mercedes-Benz with a host of technological, safety and comfort features. 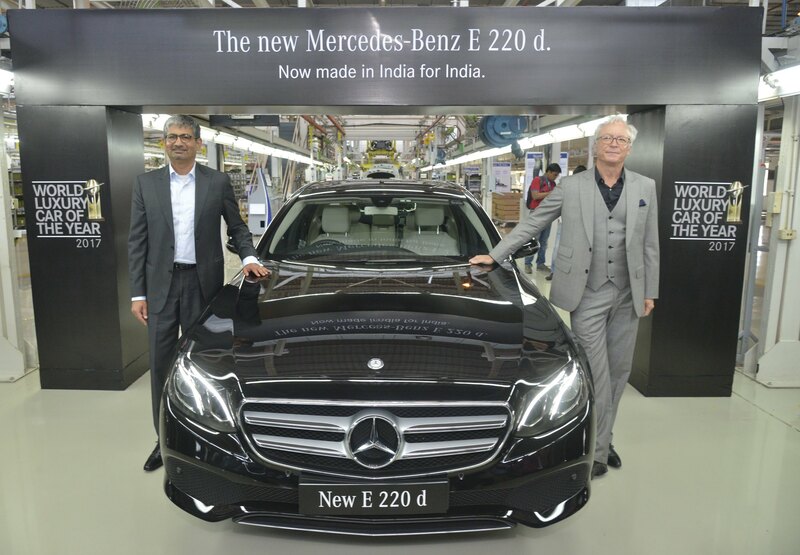 The E 220 d powered by the new world-class four cylinder diesel engine, was rolled-out of Mercedes-Benz India’s world-class production facility in Chakan, Pune by Roland Folger, Managing Director & CEO, Mercedes-Benz India and Piyush Arora, Executive Director, Mercedes-Benz India. 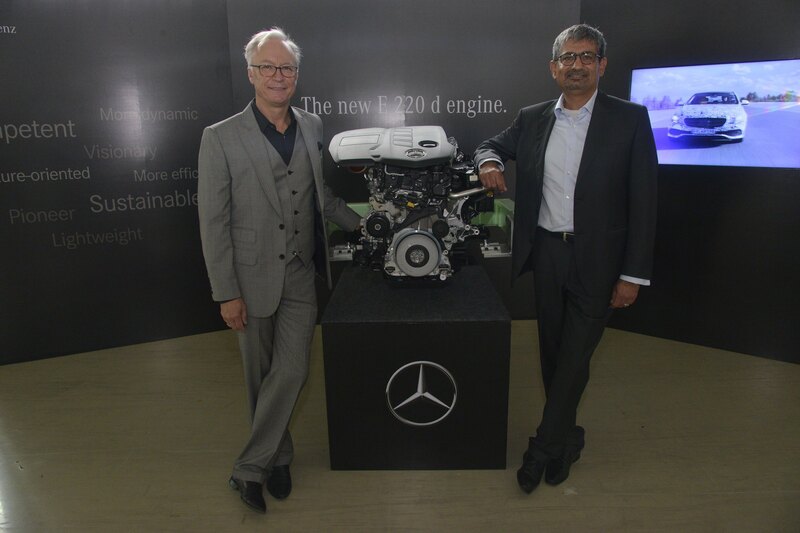 Piyush Arora, Executive Director – Operations, Mercedes-Benz India, said, “The roll-out of the E 220 d is a significant milestone for Mercedes-Benz India; as it also marks the India debut of the ground breaking OM 654 series of Mercedes-Benz’s new generation diesel engines. This is yet another instance of our production prowess achieved over the years and also highlights an unwavering commitment to our customers. We are glad to offer world-class products for the Indian customers with significant local value addition, in the shortest possible time. The start of local production of the E 220 d will be instrumental in driving higher value and making the New E-Class the most preferred luxury sedan in India”.